These crows gather for a communal drink. The background of the rocks is a collagraph print. 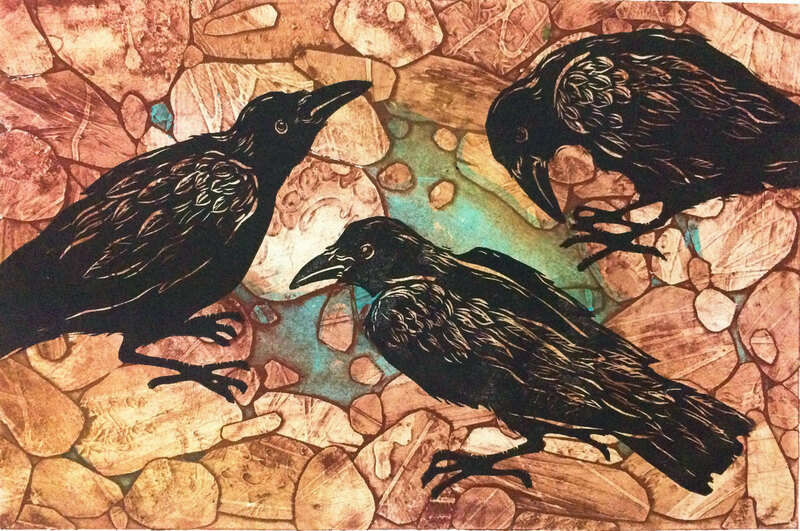 The three crows were then printed on top. The teal water is hand-painted. This piece is unframed, unmatted and mounted on an archival piece of foamcore and shipped in a plastic sleeve fro protection.